More than two years after its previous location was abruptly shut down by mold, the Southern Nevada Health District opened a North Las Vegas location Oct. 24 at 955 W. Craig Road, Suite 103D. The new clinic offers childhood immunizations, school- and college-mandated vaccinations, sports physicals, seasonal flu immunizations and kiosks for health card applications. 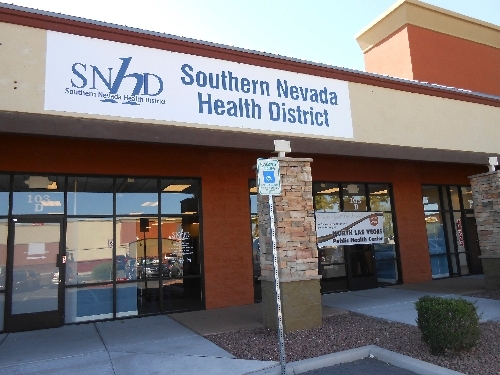 “The Southern Nevada Health District is pleased to return to North Las Vegas to provide much needed public health services,” said Dr. John Middaugh, interim chief health officer for the health district. The center is one of seven sites in Clark County. Middaugh credited North Las Vegas City Councilwoman Anita Wood for pushing the board to reopen in the city. “It’s because of Councilwoman Wood’s dedication in the North Las Vegas community that this public health center is open today,” he said. Wood said she first learned that the board was considering routing North Las Vegas funds to its east Las Vegas location in December 2010 when she joined the board meeting as an alternate member. She said, with time, board members came around and understood that not reopening in the city would mean many people would become medically underserved. 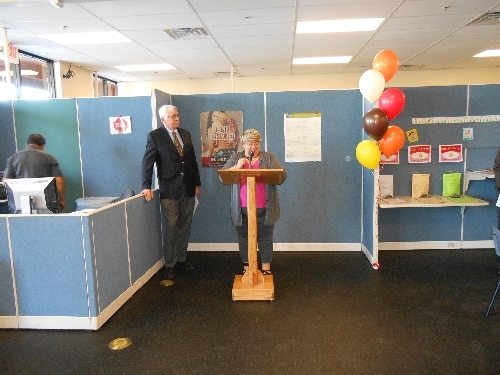 Bonnie Sorenson, director of clinics and nursing services for the health district, said the new location was strategically chosen. The health district completed a retrospective study with area schools and found that the surrounding ZIP codes have the lowest immunization rates in Southern Nevada, she said. Additionally, they looked for a location accessible to public transit to help serve historic North Las Vegas and newer developments where the economic crash may have prevented clinics and health providers from opening new locations. The health district’s largest clinic sees nearly 200 people a day, and the North Las Vegas clinic saw 180 people in the first three weeks of October since it soft-opened Oct. 1. The previous North Las Vegas clinic that closed in 2010 saw 700 to 1,000 patients a month for immunizations alone, said Alice Costello, community health nurse manager with the health district. Costello and Wood mentioned that they would like to see the services offered at the clinic expanded, and Costello said patients are asked about other services they might want. The new center is open from 8 a.m. to 5:30 p.m. Monday through Thursday. Contact Centennial and North Las Vegas View reporter Laura Phelps at lphelps@viewnews.com or 702-477-3839.